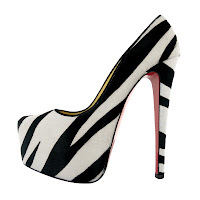 Does your heart pulsates faster than usual when a pair of sinful red soles crossing your path? 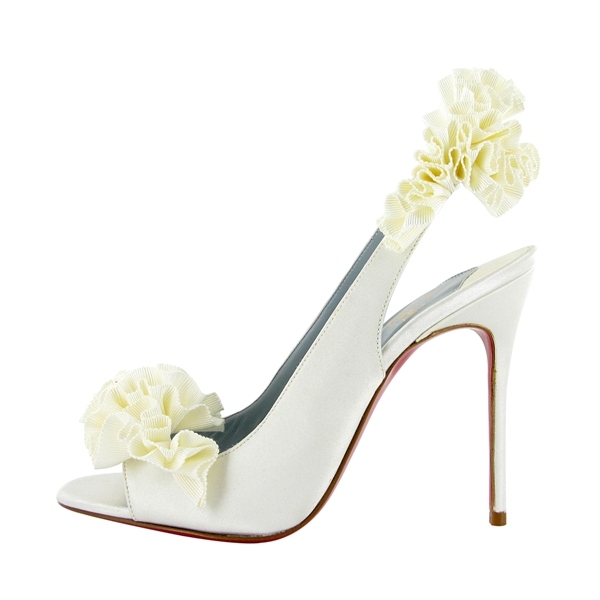 Do you feel like flying over the luminous moon or gliding like a graceful dancer when you set your feet into the beguiling pair of red soles? Well ladies, if your answer is yes to both questions, then that literally shows how powerful Christian Louboutin shoes can be when inducing a woman towards her wildest yet stylish reverie. Exceptionally commanding that it prompted megastar and trendsetter Jennifer Lopez to write a song called “Louboutins” and dedicated it to her favourite shoe designer. What’s more, she even performed the song inside a giant replica of Louboutin’s high-heeled pump live in an episode of the US version of “So You Think You Can Dance”, early this year. 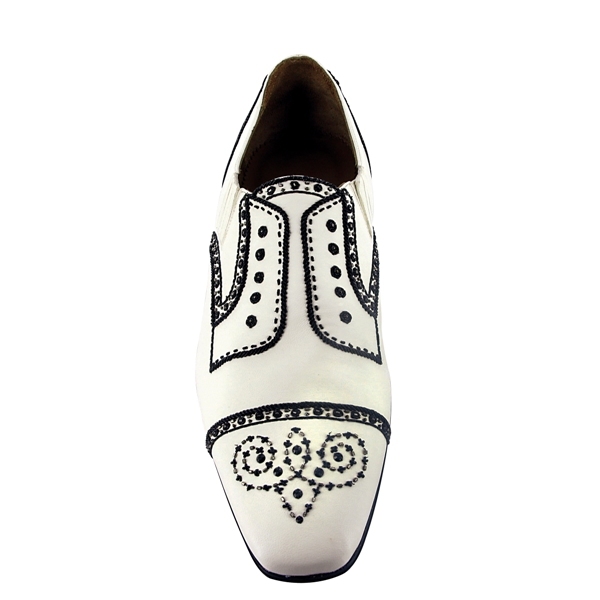 Now, if you are a serious designer shoe collector, then the devilish creations of this Parisian shoe designer who is globally known for his signature red-painted soles must have acquired a generous, if not spacious dedicated space inside your vast shoe closet. Not just your own but also those of A-list celebrities like Victoria Beckham, Katie Holmes, Sarah Jessica Parker and of course, Jennifer Lopez just to name a few. Of course, Christian Louboutin shoes do cost you “things”, darlings. Thus, that is why many stylish girls, women and even men (Louboutin also design shoes for men) are keen to save their hard-earned salaries or just hastily spend their bonuses on not one but many pairs of Louboutin’s “feet candies”. Though spring goodies will only reach stores by the first quarter of the year (depending on where you live), I can’t help it but to reveal to you a selection of heart-palpitating ‘feet candies’ by Monsieur Louboutin for spring 2011. 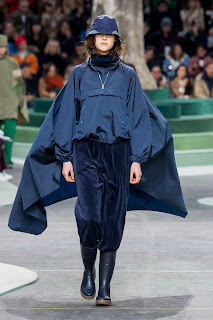 Brimming with elegance, sensuality and profound femininity, the heels have been elevated to another height while colours, especially primaries like bold blues and vibrant yellows, play an important role in the collection. 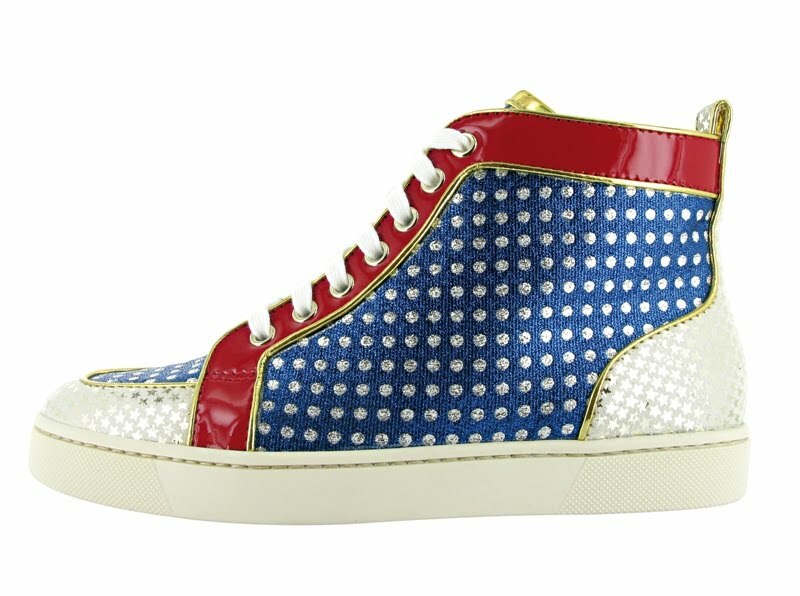 To kick start the arrival of spring, Monsieur Louboutin takes you on a journey across the globe with internationally-flavoured masterpieces such as Miss America – a sling back heel doused in the hues of USA’s “star-spangled banner” and emblazoned with stars and gleaming dots – and the Change of Guards, which is influenced by the British. Though I am not pretty sure if Lady Gaga is a fan of Louboutin, the Banana pumps with platform base and Miss Rope bag got me thinking of her meat dress. Yes, the usual-for-Gaga-but-unusual-for-us-mere mortals dress that she wore at the recent MTV Video Awards. As usual, studs are given liberal treatment on some of the spring/summer shoes as well as bags. Gold, silver and black studs adorning the men’s version of Louis Pik Pik are certainly cutting edge and meant for fashionable male daredevils; punk-ish rock influence interwoven with girlish sweetness prevails on the beribboned Lucifer heels; while the all-white Lady Clou, also peppered with silver studs is not meant for the faint-hearted. 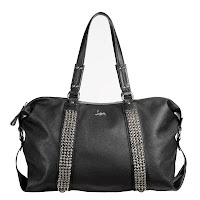 Small spikes are also prevalent on bags like Sweet Charity and large Morrigan in black. 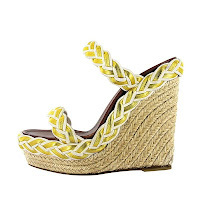 Since spring and summer are the perfect seasons for you to tie the knot, the Etneu Etneu sling backs with creamy grosgrain ribbon detailing on the vamp and the sling strap will go perfectly with your Vera Wang or Valentino Sposa wedding gowns. 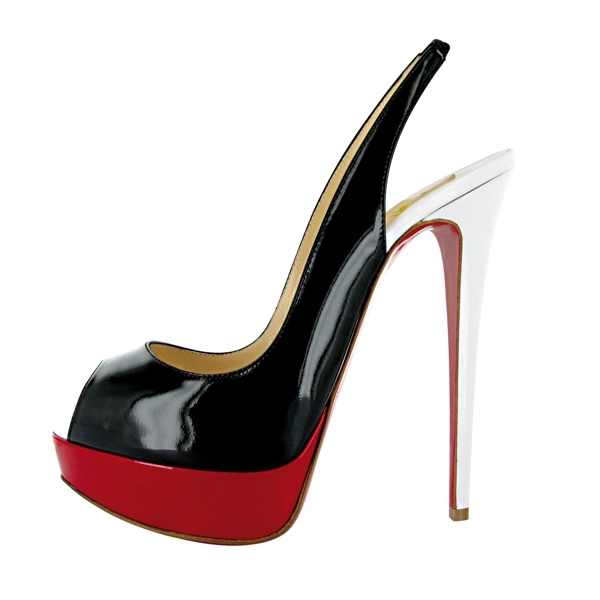 And for those who are eco-conscious but ultra fashionable at the same time, Louboutin has something special for the stylish eco-warriors – the superbly eccentric Eco Trash platform sling back heels. What is so special about this shoe is the platform is made from fabric while plastic covers the vamp and part of the sling. What’s more, beneath the plastic cover is an artsy collage comprising of paper cuttings, hemp rope and a green ribbon. Good news for fans of the House of Lesage: Christian Louboutin has once again collaborated with France’s oldest embroiderer, after the success of his 2008 Marie Antoinette shoes collection. For the second collaboration, Lesage’s exquisite handiwork can be seen on two Louboutin’s creations for men – Mikaraja and Loubi Flat. The Mikaraja is a combination of two words – Mika, the British singer who is also a dear friend of Louboutin, and “Maharaja”, the Indian word for great king. 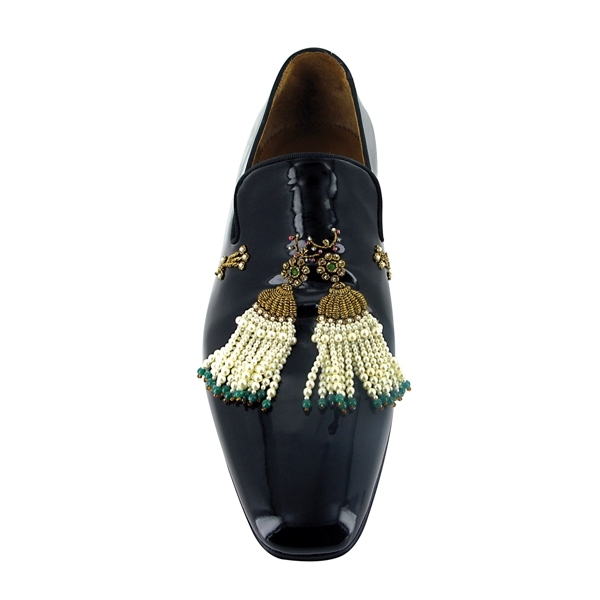 Featuring intricate beading inspired by India and truly fit for a king, only a handful of lucky men can own this exclusive shoe. 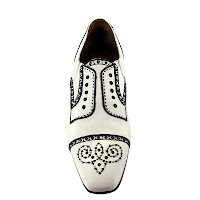 As for Loubi, the painstaking embroidery and the whitewash hue reminds me of a traditional tuxedo when looked from afar - a perfect feet candy for him to wear when waiting for you at the altar. 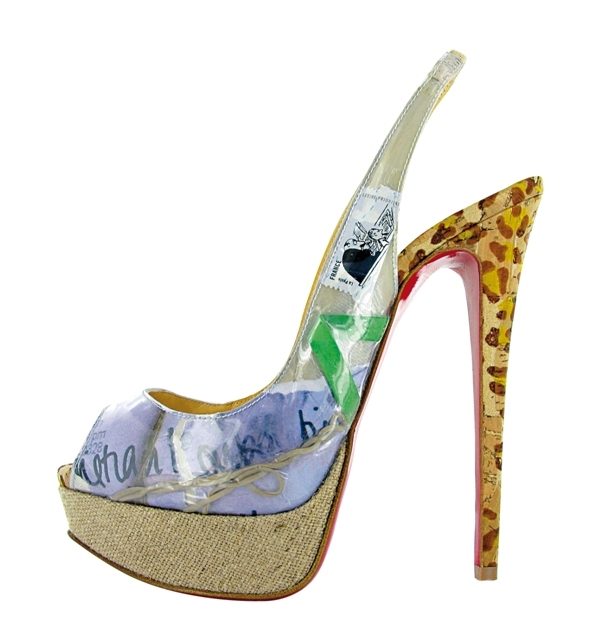 Christian Louboutin SS2011 collection will be available at Christian Louboutin boutiques and selected retailers worldwide early next year. 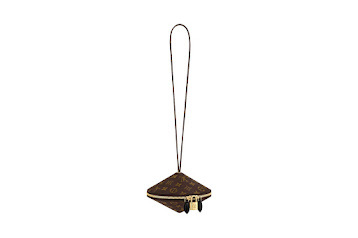 However, kindly be advised that the shoes and bags featured in this post are only available in Hong Kong. *Photos courtesy of Christian Louboutin/ Pedder Group. Christian Louboutin - 7, Lan Street, Central Hong Kong; Shop G317, Gateway Arcade, Harbour City, Canton Road, Kowloon, Hong Kong; #02-12C/D, Ngee Ann City, 391 Orchard Road, Singapore 238874; 44-49, Level 1, Plaza Indonesia, Jakarta.